Well then! Who ever thought that I would manage to link up to Donna’s Living Arrows Linky every single week for a whole year? I certainly didn’t! I thought maybe I’d last a week or two, maybe even a couple of months. But I never thought I’d manage to link up for 52 weeks running. For me this is a massive achievement. I’ve enjoyed it so much, and it means I have a wonderful record of the little things that Isla does each week, that I might have forgotten otherwise. 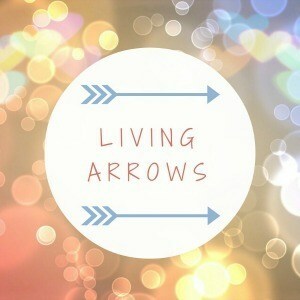 If you’d like to read the other 51 Living Arrows posts from the rest of the year, then they are all here for you. And now, without further ado, my final Living Arrows post for 2017. First of all, Happy Christmas everybody! I hope your day is filled with lots of love, presents, food and fizz! We are currently at my parents, and Isla is loving it as she’s getting to help Grandma cook (while eating the pudding before it’s finished!) and she gets to play with her beloved Bahbar (Grandpa) and wears him out so much that he falls asleep before she does at night! Isla has also loved drawing and doing jigsaws with her Great Grandad, which is just so lovely to watch. This week had been a hectic one, in part with me being ill. But also because I’ve had to do the usual last-minute rush to buy and wrap presents, despite promising myself that I would be more organised this year! 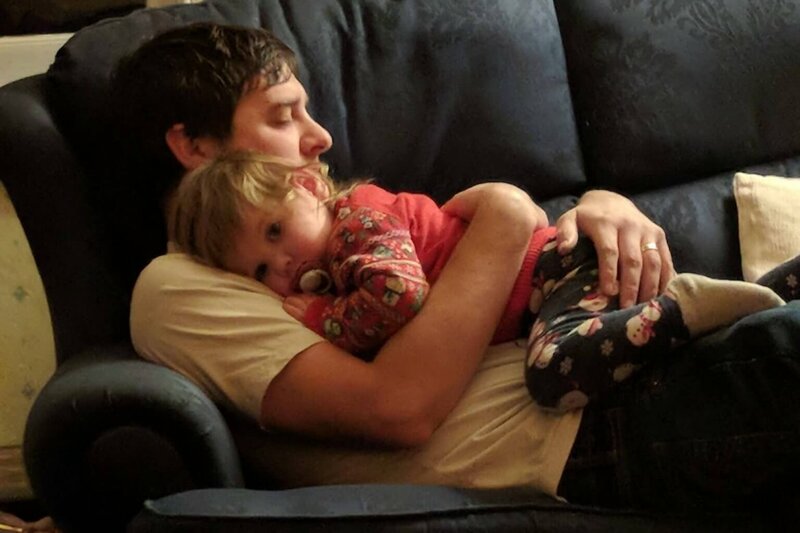 This weeks Living Arrows photo shows Isla snuggling up on the sofa with her Daddy just after she’d woken up from her nap. She is super snuggly recently and its so nice to make the most of this. 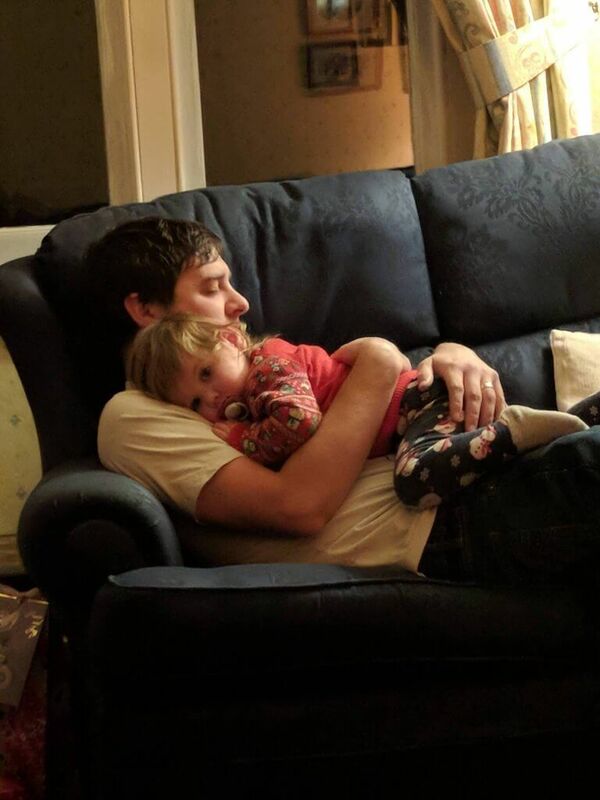 There’s nothing particularly significant about this photo, however it is reminiscent of the first photo I used for week 1 of Living Arrows in 2017, where Isla was snuggled up with her Daddy then. I can’t believe how much she had grown and changed over the last 52 weeks! I hope you all enjoy the rest of the holidays, whatever you are doing. Stay tuned to see what lovely photos I share of Isla in 2018’s Living Arrows, as I’ve enjoyed linking up each week so much, I’ve decided to carry on! Aww what a lovely photo. Well done for linking up all year. I love seeing how much they all grow and change.